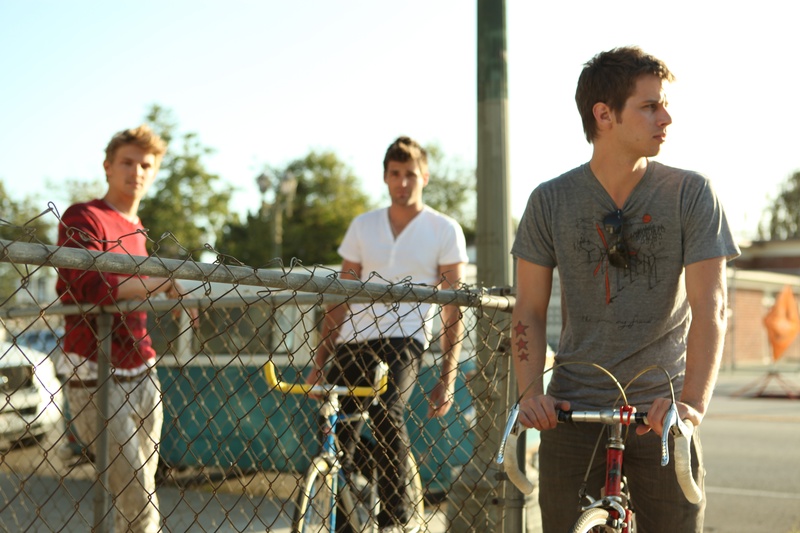 Apart from a certain rapper, LA band Foster The People are the most hyped act of 2011. It’s impossible to read anything music-related online without catching mention of their breakout hit Pumped Up Kicks or debut LP ‘Torches’. It’s for a very good reason though- these guys make refreshing and supremely cool music that has already seen them play sold out tours across the States and indeed in Australia. Foster The People are returning here for the second time this year to play Splendour In The Grass as well as a few sideshows, and I caught up with lead singer/songwriter Mark Foster to talk Coachella, Torches, Pumped Up Kicks, and FIFA. APYS: Hey Mark, how are you and where are you calling from? Mark: I’m good, I’m In Denver, Colorado. APYS: So your upcoming tour will be your second trip to Australia within a year, how was your experience with the first tour? Mark: We had a blast. It was our first international tour, so it was our first time leaving the States and playing somewhere else, and it was a lot of fun. Australia’s got such a music culture and I think that with the type of music we make, people understand it there more than anywhere else. APYS: At the time did you know that you would be returning so soon? Mark: No. We had been talking about it, there were some talks going on about Splendour, but nothing was confirmed yet. APYS: I remember I caught one of your Melbourne shows and loved it, can fans expect similar gigs this time round or are you going to change things up a bit? Mark: We’re playing much longer sets now. But you know it’s the same kind of energy really. I’m sure that we’ve changed things up since you saw us last, but the energy is still there, we’re still switching instruments a lot and it’s still going to be a lot of fun. APYS: You’re coming here to play Splendour In The Grass, are there any other bands at the festival who you are particularly looking forward to seeing? Mark: I don’t think I’ve seen the lineup properly yet. I know our friends Grouplove are going to be there, so it will be really good to see them again and get our FIFA rematch on. Who else is playing actually? Is Cut Copy playing? APYS: I don’t think so (turns out they are, oops). Kanye and Coldplay are headlining. Mark: I’ve never seen Colplay, that should be interesting. APYS: Of course you recently played a little music festival called Coachella, how did it go? Mark: Amazing. It was our first proper festival and our first time playing in front of that many people. It’s a really cool festival, we went there last year as a band and I’ve been going there for years. It’s kind of the local Californian festival and playing there was an honour. APYS: So for those who might not be too familiar with it can you tell me the story behind how you guys got together as a band? Mark: I was friends with Cubbie and Mark for a few years before we started playing together. You know we were just friends in LA, we were buddies and they were playing in other bands while I was composing for commercials and writing songs and kind of doing my own thing. It was just one of those things where I was ready to start a band again and asked them to come and play with me, and they did. APYS: The B-Side to the Pumped Up Kicks vinyl is a great track called Chin Music For The Unsuspecting Hero, am I correct in understanding that was originally a solo track? APYS: Since your first tour you’ve released your debut album ‘Torches’, how has the reception been so far? Mark: It’s been really good. We debuted in the top 10 of Billboard which is really awesome, and people have been really liking it. We’re playing our second US tour now and it’s sold out, and our third US tour just went on sale and that’s already doing well. I’m surprised really that people have embraced us as much as they have, because I feel that with the type of music we make, I just never would have guessed that people would have got it here, but it’s going really well. APYS: Where did the name ‘Torches’ come from? Mark: I’m a really visual person, and I just had a picture of a torch and what it represents. To me this record is about purging a lot of things from the past and then also moving forward and stepping into something new, so I just had this picture of someone with a torch kind of burning down a town that represented the past and then taking that same torch and holding it up in front of them to light the path to the future. APYS: What’s your personal favourite track on the album? Mark: It’s kind of a toss up between Houdini and Call It What You Want. APYS: Ah yeah, my own reading of Call It What You Want is that it talks about public expectations of your album, is that a fair interpretation? Mark: Yeah, partly. I think it’s partly that and then it’s also about people trying to pigeonhole me as an artist, saying you sound like this artist combined with this artist or you sound like this artist or you sound like this or what do you sound like, explain it to me? And it’s just like call it what you want, I don’t mind, why do we need to put a label on it? And on a macro level it’s about society doing that with everything. Everyone wants to put things into this tight pretty little box and put a ribbon on top, but that’s not really what life is. There are a lot of shades of gray. APYS: I’ll steer clear of the comparison questions then. APYS: You opted to leave the song Broken Jaw off the album and include it as a bonus track, what was the reasoning behind this? Mark: I mean we love that song, it’s one of our favourite songs to play live. I think the ten songs we put on the record, we were really thinking about wanting them to have a flow and wanting them to be a cohesive body of work, and Broken Jaw was always kind of the black sheep, so we didn’t end up putting it on. There were three songs actually that we recorded for the record but didn’t put on, and we’ll be releasing the others as well. APYS: You guys have been hyped like crazy online through music blogs and the like, how much attention do you pay to that kind of stuff? Mark: I think in the beginning I read a lot of it, but I’ve been kind of chilling out lately. I think it’s not necessarily the best thing for your mind to be reading that stuff all the time, the positive or the negative. Because I mean that stuff’s Tweeting, anyway. It’s just peoples’ opinions. But at the same time if a really good article comes across and it’s really well written I love to read it. I just think it’s really easy to get sucked up into that world and let other people define your identity for you. Ultimately I think you just need to be yourself and do what you do. It’s like the very thing that destroyed Michael Jackson. APYS: I first discovered Foster The People through a fan made music video for Pumped Up Kicks on Youtube, which was basically the song set to retro photos that has gone on to receive over two and a half million views. Have you seen the video, and how do you feel about a fan made clip being this popular? Mark: Oh yeah, I love it- the one with the pictures made by the girl? Yeah she put that out a couple of weeks after the song was out, and that’s great. I love when people inspire us and do videos to our music. And the fact that it’s gotten that many hits is awesome. APYS: On the subject of Pumped Up Kicks, it’s been described by a lot of people as a ‘summer anthem’ but yet its lyrics are quite dark, what was the inspiration behind the song? Mark: Well I mean I write in character a lot, and that song was written through the eyes of a teenage kid who was isolated and outcast, and I really wanted to kind of get into the psychology of his head. In the States over the last ten years kids are going on these killing sprees and it’s becoming more and more common, and I really wanted to dive in and figure out why: what’s happening to our society to cause this, why is our life deteriorating the way it is, what’s the problem socially? And so I told the story through his eyes. APYS: When you wrote it did you expect that people would be calling it a a summer anthem and a perfect road trip song? Mark: No, not at all. I had no idea that anybody would like it at all honestly. It was just another song to me and I liked it, but then I love all my songs. For it to take off the way that it did was definitely a shock. APYS: Is this contrast between kind of morbid lyrics and joyous melodies a typical feature of your songwriting? Mark: It definitely is on this record. I guess I would say all in all it probably is. I like to play with it. Sometimes the melody and the lyrics will be parallel to each other and sometimes they are opposite, and there’s a certain irony in that. I mean imagine if I wrote Pumped Up Kicks as a this dark broody ballad, the song would make you want to kill yourself. So the music gives the words and the spirit of the song a different meaning, and I think that’s what I love about music: it takes poetry to the next level, depending on what melody and what vibe you put underneath the words. APYS: The rest of the tracks on ‘Torches’ have a bit of a different vibe to Pumped Up Kicks, were you nervous at all about trying something different after its success? Mark: I was a little bit concerned. I mean I definitely thought about it, but at the same time I wasn’t going to let that change the way I write songs. I would never release songs in one consistent style, I would get bored. With the band from the beginning we decided that we want to be versatile and we didn’t want to be pigeonholed as anything. We just wanted to be able to make the music that we want to make. It was really nice when the record came out and then before that when the EP came out, when the other songs were embraced. I’m sure some people were bummed out that they didn’t all sound like Pumped Up Kicks, but a lot of people really liked the other stuff as well. APYS: There have been some great remixes of your music, if you could chose one band to remix your music who would it be? Mark: Hmmm, Cut Copy were meant to remix one, but they went out on tour and never finished it. We love Cut Copy though. Friendly Fires would also be really fun. APYS: You mentioned this before, but I did speak to Grouplove a couple of days ago and it turns our you guys have a bit of a FIFA rivalry going on, what’s the scoreline so far? Mark: Haha look I’d like to tell you that I’m in the lead, but I’ll tell you the truth, they’re up by a couple of games. But they also have a strategy, I noticed that we’d always play after I got off stage and had a couple of beers, but when I won it was always before a gig. We’ll see what happens at Splendour. I Tweeted at them a couple of days ago and told them to warm up their arms, because it’s going to get crazy. APYS: Finally and most importantly, I’ve been instructed via Twitter to ask what is your band’s power animal? Mark: Hahaha wow, I’d have to say the platypus. APYS: I like it. Thanks so much for your time man, really appreciate it. Look forward to seeing you down here. ‘Torches’ is available from Foster The People’s website. The band will be playing at Splendour In The Grass this year alongside a stellar lineup, and will also be playing sideshows at the The Hi-Fi in Melbourne on the 26th and 27th of July and the Metro Theatre in Sydney on the 29th of July, with Guineafowl supporting. Tickets are on sale now. “Ultimately I think you just need to be yourself and do what you do. It’s like the very thing that destroyed Michael Jackson.” So true.